AIU News . Getting the fullness · Education + Culture + Science + Technology + Art + Design + Body + Mind + Spirit + Environment · Bachelor of Development Studies . About AIU . January 11, 2015. Congratulations to our AIU alumni Dr. Mike Boniface Goma. He is currently lecturing in the University of Lusaka in three programs: Masters in Public Sector Accounting and Finance, Public Sector Budgeting and Finance and finally, Corporate Governance in Legal Framework in Auditing. He is also an external Examiner in Dissemination marketing at the Masters Level as well as a Supervisor of Dissemination writing both at the Masters and Doctorate level. Dr. Mike Boniface Goma completed a Doctorate program in Philosophy at AIU. December 28, 2014. AIU wants to congratulate one of our students, Kenneth Okocha for his recent success. Kenneth wrote his work on: “The Strategies of Military Capability” and it has been published by American Open Political Science Journal. Kenneth is currently enrolled in a Doctorate program in International Relations at AIU. We are very proud of you, Kenneth, and we wish you more success in your professional projects. January 19, 2015. Felix Ale, graduated who completed a Doctorate program in Journalism at AIU, wrote his work on: “New Media and a Democratic Society”, which has been published as an e-book through Grin Publishing. Read it here: www.grin.com/en/ e-book/286499/ new-media-anda- democraticsociety His publication has received commendation from the National Leadership on Nigeria Union of Journalists (NUJ) as the National President of the Union, Mallam Garba Mohammed, who also doubles as the President of West Africa Journalists Association (WAJA) has described it as one of the brilliant academic works by any member of the Union in recent times and as a pride to Journalism profession in Africa. Assignment: Using MyAIU and its elements to compliment the article, you will need to choose five questions from the list below and develop an essay based on those. Once you have your assignment ready, please submit it via your student section for an evaluation. Bibliography (include at end of essay): Rogers, Robert; Riddle, Sheryl. Trust in the Workplace. Development Dimensions International. Pittsburgh, USA. 2003. The reading for this assignment is called Trust in the Workplace. www.aiu.edu/online/etempl/ fin/pdf/trust%20in%20the%20 workplace%20business.pdf This topic is important for any business or organization so that the people working there are more productive and creative. This assignment has the goal of exploring trust as an important factor in making a community or business more productive. Explore trust in your life, your workplace and in your own community. Is there trust? Does trust make a difference? What difference? Questions to develop in your essay. Include personal experiences to explain your views. • Why is trust important in the workplace? • How do you define trust? • What are the advantages of trust? What are the dangers? • Is it better to have trust in the workplace or better to have control? Can you have trust when management controls the workplace? Does the trust develop creativity and superior productivity? • Give your views on trust. Would you work in an organization where workers and management did not trust each other? Evaluate the trust in the places where you have worked. Was it important or not? Is there trust in your community? Does the workplace reflect your broader community? Give your final thoughts about trust among people and how trust changes life. Enjoy and remember to Live, Learn and Share. Call For Papers. This Conference will be held 3-4 September 2015 at the Universidad de Alcalá in Madrid, Spain. 2015 Special Focus: Health and Wellness in the Age of Big Data. In the practice and study of health and wellness, the question of ‘big data’ turns our attention not only to the integration of data collected formally by medical professionals, but also the aggregation of isolated silos of personal data collected incidental to everyday life activity. • I learned that I could share my field work experiences with others through developing manuscripts for publication. This led me to prepare and submit three college assignments in Organization Development, Resource mobilization and Human Resource Management which were published. This was the first time I have ventured into the area of preparing manuscripts for publication. • I was able to use principles I learned and new perspectives to develop a partnership guide for use within the organization I work for. • I developed an interest in writing a book on my field experiences working with local NGOs in Kenya and Tanzania especially in the area of Organization Development. I felt that I needed to share my experiences so that other development practioneers can be committed in supporting Local NGOs that go through so many challenges in management yet they do a lot of impressive work at community level. I currently have a manuscript ready on Organizational development and am pursuing to publish it as an e-book soon. • I am currently working on my research project on challenges and opportunities of Partnership between Local and International NGOs. This is a continuation of a unit I did on partnership and it sparked an intrest in highlighting the challenges faced in such collaborations. I believe as a development practioneer who has been working with Local NGOs for the past 14 years, the findings of the research will support partnerships here in Tanzania. • I got encouraged when I saw other Kenyan students and other professionals graduating from the University and their testimonies inspired me. Studying at AIU was an eye opener for me as it helped me explore new horizons and discover current development perspectives that empowered me in my professional work. My advisor (Dr Valcin and others) and the various tutors were committed and prompt whenever I needed help. I remember I could not access the website for awhile and when I presented my request it was worked on and I was back online in less than 24 hours. Dr Valcin gave me continuous guidance on how to approach my assignments and when I was uncertain on how to proceed he readily and quickly gave me advice. I owe my success and remarkable performance to the AIU team. I have learned a lot and I appreciate both financial and technical support. Keep up the good work. “Since I entered AIU, my hope of having a diploma of Masters in Econometrics came true. It is a specialty not available in the universities of my country, however, AIU gave me the opportunity to make my dream come true. I have had an autonomous learning supported by AIU. AIU has given me the opportunity to carry on my own researches and, since then, I started to believe more in myself and my capacities. Now, I know that many of the issues of my assignments are important, so I intend to carry on this investigations and increase the number of articles published. 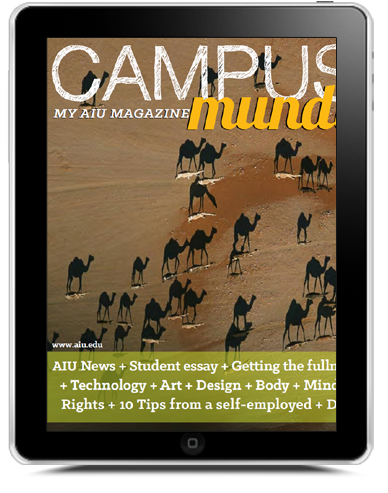 AIU gave me the opportunity to carry on my studies when I had nowhere else to go; and, even when I thought to quit, they always came after me, asking me to carry on and finish what I had started. They encouraged me. Even when I had no money to pay (which was a true situation I passed through during course), they understood the situation and helped me; from that time I understood that the main goal of AIU’s personnel is that many more people in the World get educated, and these people are the ones that the world shut the doors when the fees of the colleges and universities get expensive for the citizens with low income. There is too much I could say about AIU’s action in benefit for the disfavored people, however, personally saying, I can say that: AIU was the hand of God in my life. May God bless the pioneers of AIU and all those who carry this project on forth. The commercialization of products every day is a more complex exercise. The consumer, competitors, the dynamic and changing environment, new tastes and preferences, product, value-added services are the cornerstones on which the sales and marketing strategies are designed to achieve success and objectives previously defined. Has so far been the way of working, and working, but no longer produces the expected results. Analyze all these components from the perspective of marketing, market research, psychology, sociology and anthropology is no longer enough. Formulas inherited from the past to sell, attract and retain customers successfully becoming more obsolete and outdated are mainly due to consumer maverick character and lack of adaptation to the times we live in. The formula Good Product + Good Service is no longer enough to ensure success in the goals and targets in an enterprise. This formula is weak and incomplete to events and evolution of the times in which we live. 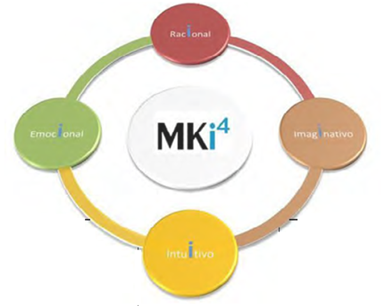 MKi4 is the new paradigm of customer loyalty and shows the way towards excellence in business management. Relational marketing, CRM and 1 to 1 were the beginning of the path to loyalty and proper management of customers however these methodologies and business philosophies have cracks that do not guarantee the fullness in the financial and economic results in the companies. MKi4 (Marketing Intelligence 4-dimensions) is the solution for comprehensive management of the relationship with customers. MKi4 applies to strategic and operational level. Integrates the entire company as a driver to act correctly with customers eliminate the barriers that traditional relational marketing not resolved. MKi4 shows how you should be managing relationships that companies must undertake to maintain or improve the current success in business performance. MKi4 is a new philosophy in the science of marketing that seeks to represent the next step to relationship marketing and 1to1 and providing companies the real success in managing relationships is necessary to undertake and develop. The justification for its existence is based on the current trade relations between customers and companies are not optimal, there are a series of issues that still generate cracks in the relationships and interactions. The starting point is the following: • It is no longer sufficient to have a good product and provide it with good service. We must deliver the product when the customer wants or is willing to buy it and not when our marketing department creates a commercial action to sell or disclose the product. Put the product available to the client when it wants or needs and not before. 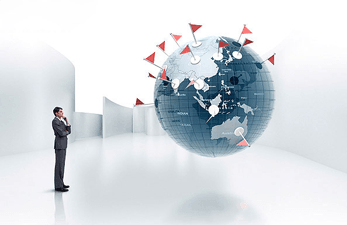 Make commercial actions, campaigns, promotions when the client will receive the correct way. • Positive interactions with staff attention to the public. We must prepare our human resources to provide the best attitude 24 hours. No serves train people in motivation, leadership, sales management if the focus is not the client. The focus is the client and not the results of the company. We must educate people of the company in this new vision that goes beyond 360 client focus. The rational part refers to transactional generated world acts of purchase between the customer and the company normally recorded in the information system as number of visits, average spending, frequency, etc. For example. Ticket purchase. The emotional part refers to all types of market research (quantitative and qualitative) that any company launched to meet the tastes and preferences of your customers or potential target. With these two components enterprises have worked and continue with relative success and notoriety in terms of financial results and in terms of customer satisfaction. But as anticipated is no longer enough to do well in these two lines of work. Not enough to meet customer behavior and define ad hoc trading strategies based on customer segmentation and based on customer differentiation worth in the present or future as indicated 1 to 1 philosophy. There are cracks in the relationship with customers and we feel incomplete. You need to interact with the customer at the right time and not just when the customer contacts us, or when we have our hands on a new product that burns our hands and through innovation are pioneers and want to be the first to make it available to the client. We must be able to detect the precise contact with the customer time, about the intuitive component to be developed by companies, taking as reference “the moments of truth” where the customer is more likely to hear concerns our business and proposals not when we as a company believe that it is time, the customer, the circumstances are the key to efficiently manage this component to ensure fulfillment in the linkage and interaction with customers. Knowing the right time when the customer needs or may want our product is the key to success in the future. No control this moment means major losses in commercial campaigns and communication activities (telemarketing and telesales especially). The fourth component of MKi4 refers to the operational capacity of the staff of customer service available to each company. Imaginative component: Attitude is the key factor that determines the proper performance in customer relationship with the company. The staff interacting with the customer must have the right motivation and predisposition, but so, that emotional bond that is the trigger for the continuity of a client company may be limited and may condition the relationship medium and long term you want with the client. A dissatisfied employee generates dissatisfied customers. Typically, companies spend part of its budget to education and training of sales staff in courses that do have an improved technical skills to manage and create the closing of a sale. But that attitude is not learned through leadership or motivation are the keys mainly used in these training sessions. Attitude is a psychological component that is part of everyone and only active in those specific moments when the appropriate sensors are activated. Correctly handle the attitude of employees supposed to implement a policy of sustainable and inclusive human resources with their personal life. One must know how to encourage employees and that goes beyond the current incentive policies used. There are a number of factors that determine how we see the activation of this attitude, the willingness to do and accomplish goals. If we are able to efficiently manage these four components of the new relationship marketing will have a competitive advantage over our competitors because customers want to come to us, they want to remain part of the company and hence the step of loyalty we will have built solid. The efficiency in business management involves the fullness financially, level employee, customer level and at society. These are the keys that MKi4 offers companies to reach the fullness in management. For having fullness one must first know who I am and what I want for having fullness. We would say before, fullness is an adjective that sounds very nice and the first thing with which we associate it is with having all. Having everything is what illuminates the thought of being in a paradise where everything is beneficial. Well let’s see what those who claim to know about creating these heavens of goods such as Philip Kotler say, about fullness of satisfaction markets. Fullness is referred to the development of something, being complete, or reaches its target; which also means it reached its goal through a process. Morin also speaks of fullness when he says there must be a policy that covers all aspects of life. Morin (2007). 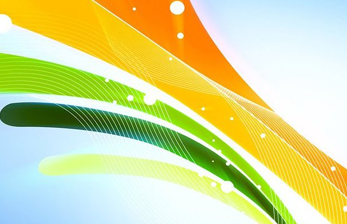 Love, peace, justice and more: from the previous material goods and values are inferred. For what we are seeing fullness can be material, but it that there are two integrated parts and then you have to make they reach the maximum, both the body as the no material we have, our thinking. And what we do, we just think about goods and goods and more goods. But if we only think of goods, all goods involve a process; nature and activities that we do are on stage, but we believe in having fullness with a magic wand; I will reach things by magic, in one day; and also I will be happy forever. There is something that has to be clear in our minds, and it is that everything is a process and that process involves an organization and as being full must be aware of our body and our mind then I have to organize what I want to be and do and build a project with their activities, instruments, procedures, time and goals because what happens in our lives is that we see the windows or shop windows and we want to have what marketing advertised very good, and we feel unhappy because we have not been able to buy them. “The abandonment of the also means values. We’re getting to some of the way; it is something material and is also referred to values. But if we say, “REACH THE FULLNESS” we are talking about human beings, because they are the ones who will have to decide what to do, and what are humans. Regardless of the beliefs we have two things we have to admit, two substances that are present inside or outside of any religion: a material part which we call body, and a no material part that is mind, thought or spirit. Well, what we have to do to say that we have fullness; apparently it has to do with the two parts we have mentioned: body and mind; what is problematic about the situation is great illusions should not be paid at the price of the illusion that it is possible to be satisfied with a limited everyday pragmatism. Abandoning a great illusion should lead to the formation of a large project. Morin (2002, p. 170). We work and work wanting things for miracles and just thinking about the material and the thing is that we do our lives a badly managed enterprise and feeling that overwhelms us is not the best. How will we achieve what we want going the wrong way; a saying is that by asking we can get to Rome; but we want to have fullness and we did not even stop to ask or wonder how? We are human beings, how can we have fullness; as easy as this: we have fullness of what is consistent because the incongruity is rejected by nature. What are we? Beings of biological, social and rational nature so all we have to do to have fullness is having our body well because we take care of it for it to function properly; living and interacting with others in a society of growth; caring nature because we live of it and learn every day to keep our mind in full development. The question as to knowledge is what we have to learn. We have to learn what science says to be useful in a corporation so we can share our knowledge for the goods we need. We also need to learn how far is the limit of the goods we need and that marketing wants us to have. To have fullness we have to see the full scope and limits of what we need from two planes: the material and the spiritual, and that balance is so difficult to find: be happy, be full, in a project that should last a life; we reach a goal and we have to propose the following. “GET THE FULLNESS” no matter what stage of the year we are or what stage of life you are! This gorgeous new “Ring Around a Tree” addition to an existing building celebrates a Japanese Zelkova tree at the Fuji Kindergarten in Japan. 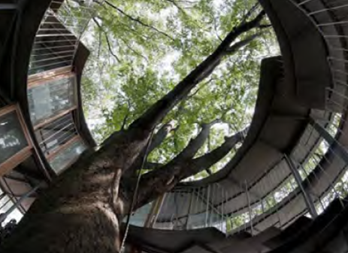 Designed by Yui and Takaharu Tezuka, the glass and wood structure wraps around the 50 year old tree, creating a lovely interior garden and play space. The circular shape joins and complements the innovative oval-shaped kindergarten. “Who can tell me why Twiggle here is sad,” Thomas O’Donnell asks his class at Matthew Henson Elementary School in Baltimore. “Because he doesn’t have friends,” a student pipes up. And how do people look when they’re sad? “They look down!” the whole class screams out. Eventually, Twiggle befriends a hedgehog, a duck and a dog. And along the way, he learns how to play, help and share. Mastering social skills early on can help people stay out of trouble all the way into their adult lives. So shouldn’t schools teach kids about emotions and conflict negotiation in the same way they teach math and reading? The creators of Twiggle the Turtle say the answer is yes. 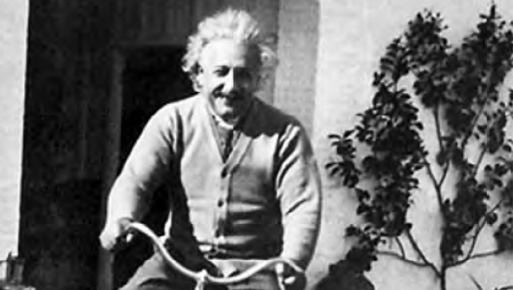 Twiggle is part of a program called Promoting Alternative Thinking Strategies, or PATHS. It’s designed to help young kids recognize and express emotions. Matthew Henson Elementary is one of about 1,500 schools around the country using this program. Every week, students get two 15- to 20-minute lessons on themes like self-control and treating others with respect. Especially for the youngest kids Twiggle often serves as their guide. The Triton oxygen mask for diving is a very convenient oxygen respirator concept that allows us to breathe under water for a long time by simply biting it. It also does not require the skill of breathing in and out while biting mouthpiece like conventional respirator. Triton, designed by Jeabyun Yeon, uses a new technology of artificial gill model. This is a technology developed by a Korean scientist that allows us to freely breathe under water for a long time. Using a very small but powerful micro compressor, it compresses oxygen and stores the extracted oxygen in storage tank. The micro compressor operates through micro battery, a next-generation technology with a size 30 times smaller than current battery that can quickly charge 1,000 times faster. Computed tomography (CT) is an excellent noninvasive technique to investigate bones and soft tissue structures in a patient. 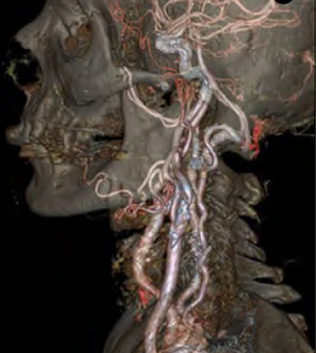 Unfortunately, sometimes imaging can be difficult, as any movement from the patient can result in images that are unclear and need to be redone. This is especially difficult when dealing with young children, mentally impaired, suffering from motor disease, or are in pain. To ensure these images are clear, these challenging patients may require sedation, which is not desirable. General Electronics sought to facilitate treatment of these patients and improve the imaging process in general with the development of the Revolution CT. CTs use a series of X-ray scans to create ‘slices’ of the patient’s body, which are then stacked to make a complete 3D representation. Depending on what part of the body needs to be scanned, the process can take up to half an hour, which is a long time to ask someone to remain perfectly still. Revolution CT, on the other hand, is able to complete scans in the amount of time it takes for a single heartbeat to elapse. This means that even wiggly patients, or those with erratic heartbeats, can be imaged in less than one second, with no sedation required. Additionally, Revolution CT is able to complete the scan using up to 82% less ionizing radiation than traditional CT scanners, which is ideal in use with pediatric and oncology patients. The machine is also sensitive enough that it could obtain images using less contrast dye, which is welcome news for those who are sensitive to those chemicals. The Revolution CT is able to get such clear images due to the camera’s motion correction, which is very similar to the image stabilizing technology found inside handheld point-and-shoot cameras. This allows the machine to correct for any fast movements and reduce noise in the picture, even when faced with rapid heartbeats. It is equipped with the fastest scintillator in the industry, capturing the images very quickly. Additionally, the machine’s collimator reduces the scatter of the beams, which helps resolve artifacts that occur during the imaging process. West Kendall Baptist Hospital in Miami became the first medical facility to use the purchased equipment, after the facility hosted a six-month-long clinical trial. Ricardo Curry, the hospital’s chairman of radiology and PI of the study, praised the device and told BusinessWire that “[t]he Revolution CT exceeded our expectations during the trial, and we are pleased to add this technology permanently to our comprehensive diagnostic imaging arsenal.” Beyond just making the imaging process easier, the images themselves are astonishingly clear and detailed. 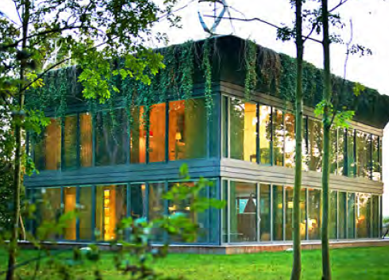 Philippe Starck is spawning a new era of super green homes. The French designer teamed up with Riko, a European manufacturer of prefab wooden buildings, to build his latest wind and solar-powered home. The glass and aluminum-clad prototype is part of the collection of residences called PATH (Prefabricated Accessible Technological Homes) and produces up to 50 percent more energy than it consumes. The two-story house is one of the four different types of homes designed to consume much less energy than traditional dwellings. This made-toorder- type home is located just outside of Paris and will soon become Starck’s own residence. The artist also designed a customizable furniture brand and a smartphone-controlled thermostat. Prefab technology is combined with photovoltaic panels, wind turbines and rainwater harvesting systems that can be added to the basic model of the house. The aluminum cladding is combined with glass surfaces, but these homes can also be ordered with wooden facades. Designed as single and two-story homes, PATH structures vary in size-from 140 to 250 square meters. Starck’s home features a curved cornice that hides the eco-technology systems and produces 50 percent more energy than it consumes. Drink a few glasses of ice-cold water before and during exercise. 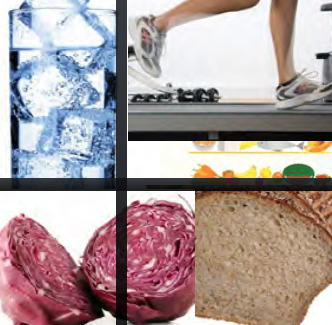 Studies show that the cold stuff can improve endurance by about 23 percent. And ice water forces your body to expend calories warming it up, boosting your metabolism as well. Verbally expressing emotion while lifting increases muscle strength by up to 25 percent. (Of course, it also increases your risk of being tossed out of the gym by the same percentage…) Or get someone to scream at you: You’ll be able to lift 5 to 8 percent more weight if you get verbal encouragement from a trainer or workout partner. Red cabbage has 15 times as much wrinkle-fighting betacarotene as green cabbage. Red bell peppers have up to nine times as much vitamin C as green ones. Huh? Isn’t it good for me? Actually, “wheat bread” is often just white bread dyed with molasses to make it look dark. Look instead for “100 percent whole wheat” or “whole grain.” Even better: rye bread. Swedish researchers found that 8 hours after people ate rye, they felt less hungry than those who noshed wheat bread, thanks to rye’s high fiber content. If you can hear yourself running, you’re setting yourself up for injury. Pounding the pavement comes from bad form. Keep your feet close to the ground and use a quick, shuffling stride. As we navigate the world, we have to pay attention to what matters for our own safety, health, interest, and joy. We want to notice the crack in the sidewalk so we don’t trip, the intricate details in a piece of art we love, the twist in the movie that makes it all come together, the smile on the face of a friend. 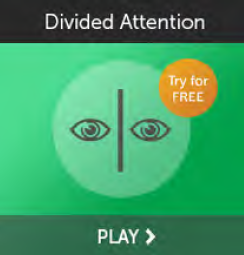 But in order to use its resources to pay attention to the things that matter, the brain has to suppress its attention to all the unimportant details around us. While you want to see the crack in the sidewalk that might trip you, you don’t want to waste your brain’s resources noticing every single crack in the sidewalk. Dismissing what doesn’t matter is just as important as noticing what does. The ability to pay attention to what matters, while suppressing what doesn’t matter, can have profound effects in daily life. Everything from quickly finding the right spaghetti sauce on a grocery shelf filled with spaghetti sauces to locating an old friend at a crowded airport amid hundreds of faces depends, in part, on your ability to focus in on important details and dismissing items that don’t match those details very rapidly. Improving this capability can help you feel more confident, capable, and on top! A recent study sought to investigate why people are so drawn to sad music. The survey, which was conducted by University of Berlin students Lilla Taruffi and Stefan Koelsch, found nostalgia was the most recurring emotion when listening to sad music —basically meaning we listen to downbeat songs to remember happier times, and to feel some semblance of the past. The survey also found that listening to a mellow song is better for the brain, especially when dealing with complex emotions, compared to blasting something upbeat. Dan Wilkinson talked to Lilla about memory and music, finding comfort in sadness and whether happy music is best for the past or the future. This is what she had to say. “Given that sadness is an emotion we normally try to avoid in everyday life, we wanted to find out why people continue to engage with sad music. ... We collected answers from 772 people from all over the world. The age range was 16- 78, 64 percent female, and the majority of participants were non-musicians. 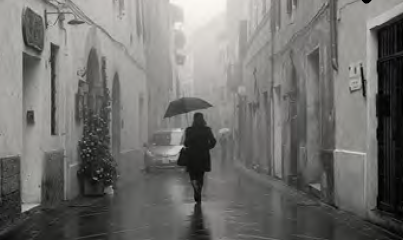 “Nostalgia was the most frequently reported emotion. The results also revealed that sad music, besides sadness, also brings up a wide range of positive emotions, such as peacefulness, tenderness, transcendence, and wonder. “Nostalgia relates to memory. So, to me, this finding points out that many people evoke memories of past events when listening to sad music. “We looked at the use of happy music and we asked another sample of different people to tell us when and why they engage with it. The results showed that participants are more likely to engage with happy music when with friends or at social occasions, to experience pleasure and enjoyment, and to maintain a positive mood or emotional state. 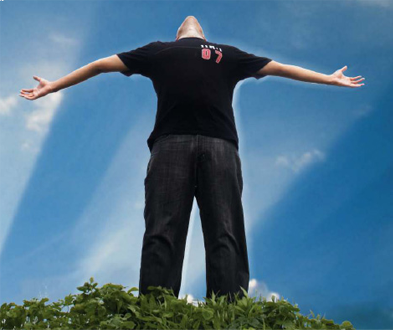 The word “spirit” comes from the Latin word “spiritus,” which means breath. So our first piece of advice is to remember to BREATHE. This is so simple and takes just a few seconds. Whenever you think of it, take a deep breath into your belly and then slowly exhale through your open mouth as if you are blowing out a candle. If you can, have you tongue gently touching the roof of your mouth to help connect all of your chakras. You can also breathe in for a count of 5 and breathe out for a count of 5, which will synchronize your heart to the pulse of the Universe and the Divine. Even one deep breath like this every few hours will help you feel more relaxed and better able to deal with whatever comes up. The word “spirit” can also be interpreted to mean to be “inspired.” Make sure you include one activity every day that connect you with the awe and sacredness of life. Many people have a “to-do list” that is several pages long. Take 10 minutes to do the following. On a computer, quickly (and briefly) type out all the major tasks you need or want to do this week or month. Now rank-order the list. Toward the top will be those tasks that you LOVE doing, want to do, and feel “inspired” to do. Toward the bottom will be those tasks that you don’t really want to do, or feel obligated to do, and/or only do because it’s custom or expected from you. Now start assigning items on your list to certain days. You need to be realistic about how many items you assign per day. If you run out of days, then the items at the bottom of the list shouldn’t be assigned for right now. Set the intention with each activity that you will have fun. You can even envision the moment in advance, including leaving the experience feeling fulfilled. In a program rolled in 2014, Peru began distributing solar panels to some of its most rural regions. The idea was ambitious: nearly 2 million people in Peru’s poorest areas would be given access to solar panel electricity. The National Photovoltaic Household Electrification Program began in Contumaza, Peru which is a rural area in the northeast of the country. 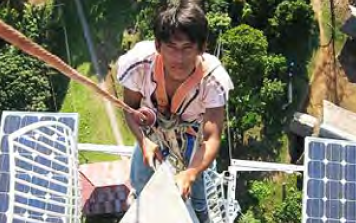 Due to issues such as weather and terrain, establishing a reliable network of traditional electricity in Peru has proved to be a challenge. This is where the solar panels can excel tremendously. Since they are easy to transport and durable, getting them to the farthest reaches of the country wouldn’t prove as much of a hassle. Yet there were some concerns about implementation and maintenance of the program. As a number of solar light initiatives in rural Africa have shown, problems arise when equipment on solar panels breaks. Without having money or access to replacement parts, and no technical knowledge in fixing solar panels, they are often tossed by the wayside. In Peru, this has been one of the major challenges of the program. The dense rainforest, humidity and constant downpours wreak havoc on solar panels. Some are saying that the government had no idea how much maintenance and repair would cost. Rafael Espinoza, director at the center for renewable energy at the nation’s university, told reporters, “The project is too ambitious... The number of professionals that they are going to need is immense.” However, in areas where implementation has been successful, it has changed people’s lives. People who are able to charge their cellphones at home and do homework or crafts after nightfall are doing better. For those who run electronic water pumps and filtration programs, it can save lives, protecting villages from water-borne illnesses. And with rural clinics having access to refrigeration, vaccinations and medications can now be safely stored. The program was slated to cost the government around $200 million from the national budget, but it looks like distribution and maintenance will impact the budget further. certain parts of the park —mostly the places where they could easily be trapped. And those areas started to regenerate. The trees grew five times the height they had been. Barren parts of the land became lush forest filled with new animals. Songbirds moved back in because of all the new trees. Beavers loved the new trees, so they started moving in too. They built some dams, and that created ponds in the rivers. Ducks, muskrats, otters, and fish moved in. The wolves started killing coyotes, and that allowed for mice and rabbits, which brought foxes, weasels, and owls back to the park. Bald eagles and hawks decided they wanted in on the action too. Then grizzly bears moved back as well! You see, the new trees were suddenly growing berries they could eat and thrive on. The wolves even changed the behavior of the rivers. With less erosion, more pools formed, and the rivers stopped meandering. They became more fixed in their course. 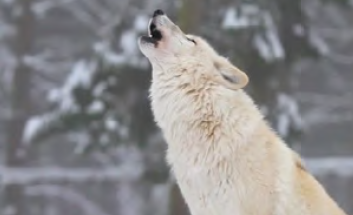 Wolves changed not just the ecosystem, but its actual topography. We are all connected. And what we do to other species affects you and me. Now, go hug a tree and thank a wolf today. Blackfish already made waves in the cetacean captivity debate, but one of the former trainers featured in the documentary has done more for the cause. We met Christopher Porter, the former Sealand trainer, early on in the film; when Tilikum the Killer Whale was being transferred to SeaWorld, Porter was happy for the orca because “it was like, ‘OK, Tilly, you’re going to Disneyland. Lucky you.” But Porter couldn’t delude himself much longer about Tilikum’s situation or the situation of marine animals in captivity, so he’s doing something to change that. Christopher Porter’s OceanWall made its grand debut on November 2014 at the Hillside Centre. The huge attraction –complete with nine screens, each 3.7-meters high and 2.1-meters wide— resides in the middle of the shopping center’s food court and plays videos of the ocean and its surrounding wildlife. Porter said the goal of his project is to “get the general public to focus on the wild and the state of the wild as it is.” His images are important because they capture wildlife in their normal activities; the endangered animals will tell their own stories. Everyday people can submit their own encounters with wildlife to WildVision Edutainment, of which Porter is one investor. 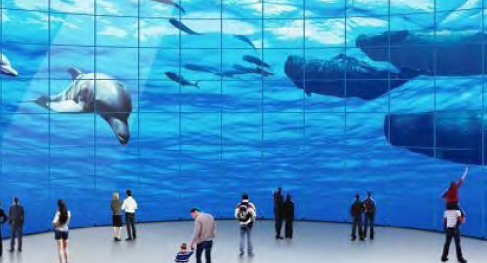 The screens will be updated with new content regularly, and Porter hopes to bring in marine wildlife experts to “edutain” the shopping center’s visitors. Porter envisions OceanWall going to spas, hotel lobbies, schools and gymnasiums. While Porter’s project could address one half of the problem of cetacean captivity by preventing the need for it, it doesn’t answer the other whale of a problem: what are we going to do with the cetaceans currently stuck in captivity? While we’d love to see all of the tanks empty and every killer whale and dolphin back with their pods, realistically that’s just not going to happen. But the good news is that there is an option that gets the cetaceans back in the ocean: sea pens. As marine mammal scientist for the Animal Welfare Institute, Naomi A. Rose, Ph.D., wrote in CNN, sea pens are netted-off bays or coves in the ocean that act as sanctuaries for the retired animals. There’d be no people gawking at them and no foreign sounds or lights. They’d live in pods, but incompatible members wouldn’t be forced to stay together like Tilikum had to and was repeatedly bullied because of it. The only human contact would be in the form of veterinary care because captive whales are generally more unhealthy and live shorter lives compared to their wild counterparts. And the most important difference between a sea pen and a sea circus: there would be absolutely no breeding. This way, the cetaceans that have had their freedom stolen from them get a piece of it back, and no future generations have to go through it again. This groundbreaking book explores how women of different ethnic/racial groups conceive of feminism. Aída Hurtado advances the theory of relational privilege to explain those differing conceptions. Previous theories about feminism have predominantly emphasized the lives and experiences of middle-class white women. 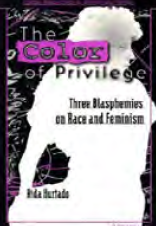 Hurtado argues that the different responses to feminism by women of color are not so much the result of personality or cultural differences between white women and women of color, but of their differing relationship to white men. For Hurtado, subordination and privilege must be conceived as relational in nature, and gender subordination and political solidarity must be examined in the framework of culture and socioeconomic context. Hurtado’s analysis of gender oppression is written from an interdisciplinary, multicultural standpoint and is enriched by selections from poems by Sandra Cisneros, Gloria Anzaldúa, Lorna Dee Cervantes, and Elba Sanchez, and from plays by El Teatro Campesino. 1. BEHAVE AS IF YOU ARE AT WORK. This sounds embarrassingly simple, but few of us do it. We slob around the kitchen in our pyjamas at lunch time, send half-baked emails while frying bacon, lose important documents because we were arseing around on Facebook and forgot to press ‘save’, and make work calls from the bath. None of this is very conducive towards producing good work... or being offered more. Even if you work from home, it’s just occasionally a good idea to pretend you are in an office. 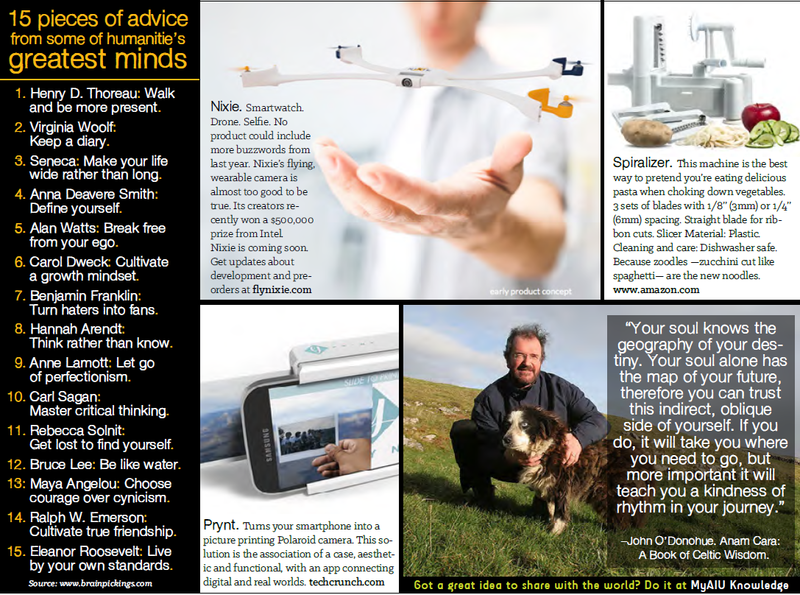 Everything we eat, drink, write on, communicate with, print out and travel on, is paid for by us. And so, because we try to cut corners everywhere, scrimp, starve, and deny ourselves the basics that we need in order to do our job WELL. So be a good boss, and treat yourself as you would expect an employer to treat you. If you travel for work, travel well. Don’t rent a cold, damp room with no desk or proper lighting. It’s not a luxury. It’s part of being employed, and you will work better for it. Over the last seventeen years of freelancing, I think I’m owed literally £1000s in unpaid work, and expenses. I am just hopeless at keeping track, and chasing people up for money. So please, please keep a note of every piece of work you do –and only tick it off when you have been paid. You don’t need a fancy spreadsheet to do this for you, though they do help. Do it with notebooks: if it’s not ticked off, THEY OWE YOU MONEY. You know how it goes: I’m at work, so I feel guilty about not being with my children. I’m with my children, so I feel guilty about not doing my work. So, when you work, work. When you don’t, don’t. Say it out loud to yourself, and really try to put it into practice. Many children much prefer it when you just say, ‘guys, I need an hour to finish this article’ and just go and DO it, like a calm, working adult setting a good example of work-life balance, rather than trying to write a column while mending a Lego castle or cooking dinner. Amazing how many people who work from home don’t (I know it’s lovely to be able to hang out in trackies and eat cake all day and ‘work’ on the sofa). It doesn’t have to be a full-on SUIT. But at least not the thing you just slept in, is a good plan. Take a holiday. Allow yourself sick leave. Have at least one day per week off, even if it can’t be at the weekend. Yes, you are the person who suffers by not being at work; but you are also the person who suffers if you never stop. And so do those around you. You are worth what employers are prepared to pay you, and as your experience goes up, and with it your skills and standard of work, so this should be reflected in your pay. In a ‘Proper Job’ you would have regular Appraisal Meetings with your boss, at which point you would, every so often, go for it and ask for a pay rise. It applies especially to working parents, whose home and work lives have the terrible habit of meeting in the playground and getting into a massive punch-up. Speak like a professional and they will treat you like a professional. Self-employed people almost NEVER turn down work. This is why they often they are treated like desperate, drooling little puppets, desperate to dance to their every tune, throwing URGENT work at them at the last minute, demanding it NOW! Being occasionally unavailable ‘for work reasons’ has the magical effect of making you instantly more desirable to potential employers, and thus getting more work in, in the long run. 10. HAVE A holida ys WO RK DO. The most depressing time of year for the self-employed starts after mid November. So throw yourself a party. Decorate your kitchen, award yourself the Company Employee of The Year trophy, Go wild. You are deserve it. You self-employed HERO, you. The Bachelor of Public Administration program will be a custommade program, designed just for you by you and your academic advisor. 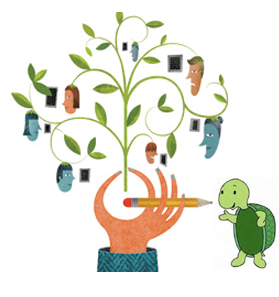 This flexibility to meet student needs is seldom found in other distance learning programs. Our online program does not require all students to take the same subjects/courses, use the same books, or learning materials. Instead, the online Bachelor’s program curriculum is designed individually by the student and academic advisor. It specifically addresses individual strengths and weaknesses with respect to market opportunities in the student’s major and intended field of work. Understanding that industry and geographic factors should influence the content of the curriculum instead of a standardized onefits- all design is the hallmark of AIU’s unique approach to adult education. 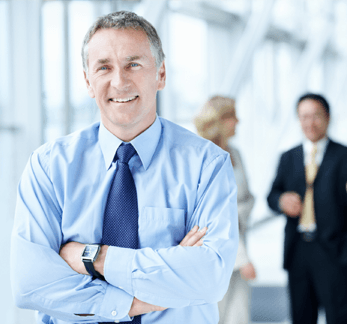 This philosophy address the dynamic and constantly changing environment of working professionals by helping adult students in reaching their professional and personal goals within the scope of the degree program. Each Bachelor of Science in Development Studies graduate is encouraged to publish their research papers either online in the public domain or through professional journals and periodicals worldwide.